Fruit machines are similar to that of typical slot machines, which has more than three reels with different symbols of fruits on them. On pressing the spin button, the reel starts spinning. As the reel stops spinning, if three or more same symbols fall in the line, it is considered a winning combination. The player who gets a winning combination is eligible to the payout of that fruit combination, which is a certain percentage of money wagered in the game. How to Play Fruit Slots? Playing on fruit machines is similar to playing on any other slot machine, with only the difference in layout, combinations, and odds. 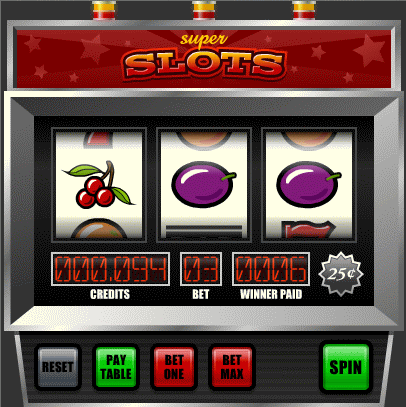 Nevertheless, fruit slots is most easy to play, and does not require expert skills or intricate strategies. The combination payout for the fruit machines is determined by the casino, and hence, it goes without saying that the winning odds are most titled towards the casino itself. Alike other games in slots, fruit machines also play for regular slots or progressive slots, with the former being more popular. In regular slots, the players get winning combination payout at fixed intervals, as determined by the casino. The payout for the combinations remains the same, irrespective of games played, won or lost. However, in progressive slots, the payout for a particular combination increases continuously unless someone wins it. More the players will play and lose, greater the jackpot amount will become. However, it is important to understand that winning odds for such jackpots are mostly tilted towards the casino, with players getting rare chance of hitting the winning combination. The rules for playing jackpot fruit machines are different from the regular ones. Often, the players have to place the maximum bet to play the jackpot. If a player wins a jackpot, he earns in large multiples of his original bet as specified in the rules.